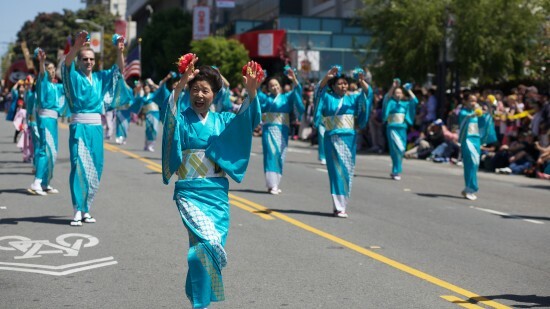 The 46th annual Northern California Cherry Blossom Festival, held over two weekends in San Francisco, concluded on April 21 with the Grand Parade, which began at City Hall and ended on Post Street in Japantown. Above: Awakko Ren performed Awa Odori. Left: The 2013 Northern California Cherry Blossom Court rode on the Japan Airlines float. 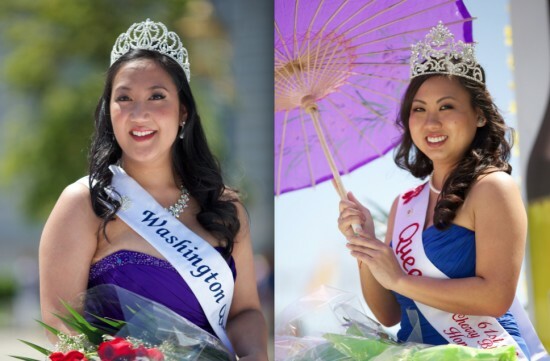 Right: Kelly Yuka Walton, who was crowned Cherry Blossom Queen the week before. 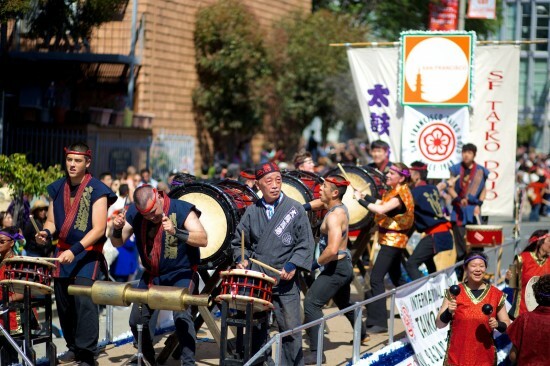 San Francisco Taiko Dojo, under the direction of Grand Master Seiichi Tanaka, participates in the parade and puts on a U.S.-Japan taiko concert during the festival every year. 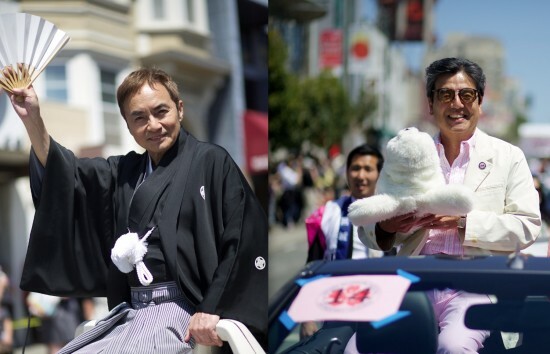 Left: Serving as grand marshal was Teruhiko Saigo, a popular singer and actor who celebrated his 50th anniversary as an entertainer with a concert at Yoshi’s San Francisco the night before. Right: Dignitaries included Consul General of Japan Hiroshi Inomata. Madame Michiya Hanayagi and her students. 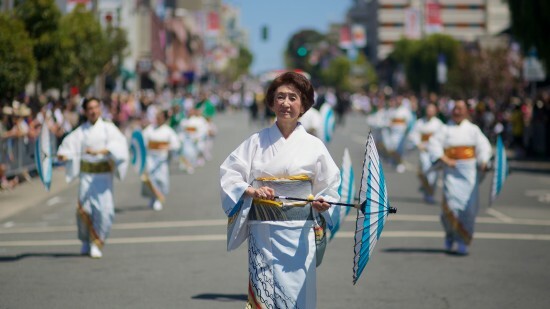 She has been teaching Nihon buyo (Japanese classical dance) in the Bay Area for more than 50 years. Left: Okinawa Kenjin Kai S.F. 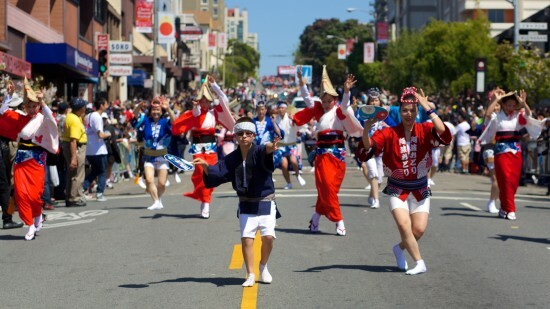 Right: Soko Yosakoi Buren performed Yosakoi Naruko Odori. 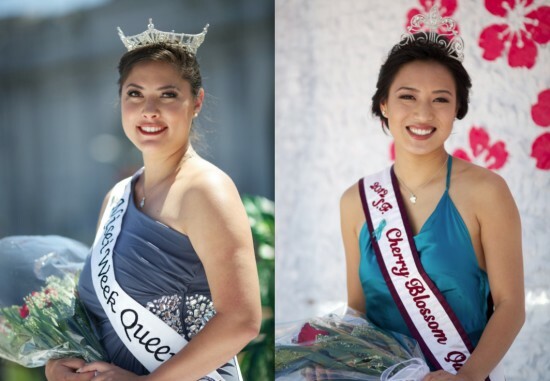 Left: Los Angeles was represented by 2012 Nisei Week Queen Emily Folick and her court. Right: 2012 Northern California Cherry Blossom Queen Asaki Osato. 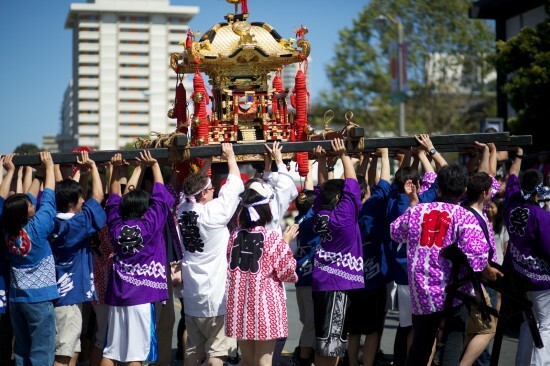 The Kanda Mikoshi was one of a number of portable shrines carried in the parade. Left: The Taru Mikoshi, made of barrels provided by local sake breweries, was carried by dozens of volunteers. Right: Members of Hana wa Saku — Nihon no Bi to Wa, a performing group from Japan. Dance instructor Yoshiko Fujimoto with members of Nihon Minyo Buyo Renmei. 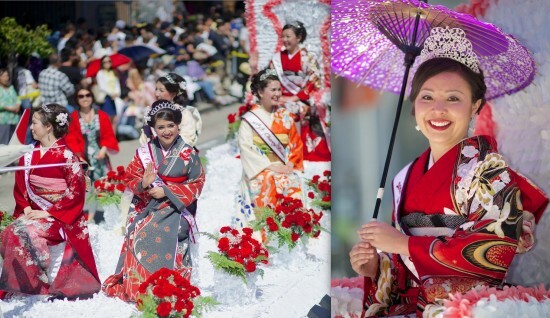 Left: 2012 Japanese Community Queen Yuna Nishimoto from Washington state. Right: 2013 Cherry Blossom Queen Crystine Ito from Hawaii. 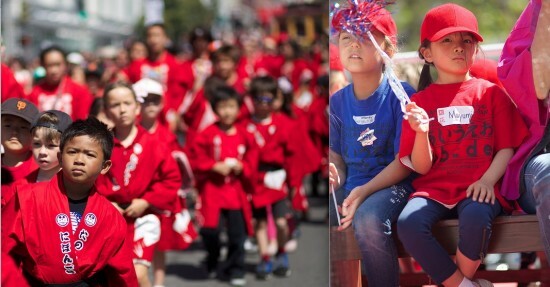 Japanese Bilingual Bicultural Program students from Rosa Parks Elementary School (left) and Clarendon Elementary School (right).